Is there such a thing as a perfect diet? Have you taken the time to read about all the types of diets and wondered why there are so many? There is no one diet that is perfect for everyone. Yep, I hate to break it to you but it’s the truth! Many diets are good for a quick fix and can lead to weight loss and other additional benefits. However, because they tend to be a fad “diet” vs. a lifestyle, they are short lived. I had experienced this short-living phenomena many times before I finally learned the basics of what makes a good, lasting diet – or lifestyle, as it should be viewed. Here are the basics that I used and guide my clients to understand, which can improve your diet and potentially lead to weight loss, increased motivation and ultimately a LONG-TERM change in lifestyle and habits. 1. Eat whole, natural foods. Stay away from processed foods and fast foods. Whole foods are full of nutrients and do not contain the fillers and preservatives that are harmful to you. When you eat better quality foods, you will discover that you have more energy, are better able to concentrate and can get better sleep. 2. Stay well hydrated with water. Stay away from soda, fruit juice, coffee and tea. Your body is composed of mostly water and therefore must be hydrated to work properly. Water also flushes toxins from the body, so if you do not drink enough, the body holds on to those toxins – and those toxins do nothing good for you. Water also helps you feel full for longer and can increase your metabolic rate, which ultimately helps with weight loss. 3. Eat more plant based foods (fruits and vegetables). This is a great way to naturally receive vitamins and minerals and also helps you with staying hydrated. 4. Portion control. 2 hands of vegetables, a palm of meat and a thumb of healthy fat is a general guideline. As the old saying goes, “You are what you eat.” How much you eat at one time should be reflected by your own size and the amount you truly need, not what your eyes think you want. 5. Consistent eating. Have 3 meals per day with 2 snacks in between, eating approximately every 2-3 hours from breakfast till dinner. By doing this, you speed up and maintain your metabolic rate and you decrease/stop your cravings. 6. Increase your physical activity. This helps with your metabolic rate and your calorie usage. Physical motion also will naturally help produce endorphins in your body, helping you feel happier and more uplifted. 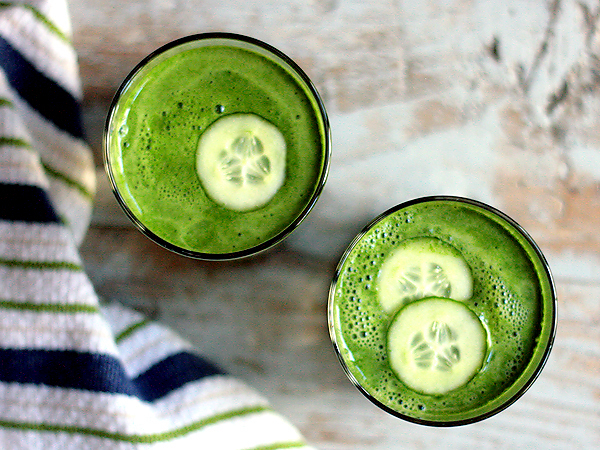 Just process all the ingredients through your juicer and you’re good to go! No diet is perfect, but a diet can always be improved and adjusted to fit you. Each individual is different and sensitive to different foods. A health coach can assist to determine what foods you are sensitive to and can be your accountability partner and motivator. Remember, it took time to form your current habits and it will take time to change those habits. Start to make some of these changes and watch how much better you start to feel. Then, if you’re interested, look for a transformation coach with Fitlife.TV to assist with accountability and individualizing your lifestyle changes. The best diet and lifestyle for you is out there, you just have to find it!